High quality, corrosion resistant Grease Injector are independently activated and adjustable to deliver the right amount of lubricant to each other individual part. The injectors can be cross linked to achieve a higher volume rate at the point of lubrication. - The visible reservoir shows the maintenance man at a glance when refilling is required. - Proper automatic lubrication minimizes breakdowns, lost time & lost profit. - Modular design compared to ordinary oilers. - Minimized leakage of lubricant. 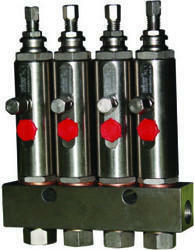 We are one of the well-distinguished companies in the market that is into offering Grease Injector to our customers. 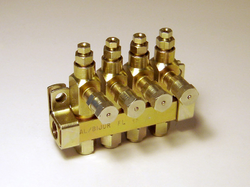 Note: Above mentioned metering injectors are available in both MS as well as brass housing.